Twickenham Stadium will be hosting a major new 7s tournament this coming weekend (17th & 18th August) as the growth of the game accelerates towards Olympic inclusion in Rio in 2016. Refblog has 2 pairs of tickets up for grabs for you to be able to get down to the home of rugby, Twickenham Stadium, this summer, to be loud and proud, make as much noise as possible and cheer on Quins and Saints (who be representing England) in the first ever World Club 7s Tournament! The new World Club 7s brings together, for the first time, some of the biggest names in club and provincial rugby from the Northern and Southern Hemispheres, together with some of the emerging names in the 7s game. There will be a family friendly, summer carnival atmosphere. The 12 teams competing in the tournament include top Aviva Premiership Teams Harlequins and Northampton Saints as well as the winners from this year’s J.P. Morgan Premiership Rugby 7s. They will be joined by the likes of the DHL Western Province and Vodacom Blue Bulls from South Africa, Auckland from New Zealand, the ACT Brumbies from Australia, and Buenos Aires of Argentina. They will also be competing against teams from America, New York and San Francisco and VVA Moscow Region and Kuban Krasnador from Russia, as the established and emerging rugby worlds meet. Nigel Owens recently became the most capped Welsh international rugby referee. But who did he take that mantle from? Entries by Twitter DM or email before midnight tonight (Wednesday 14 August). Winner will be drawn at random. Please include a contact number so I can call you tomorrow with the good news! Congratulations to Julian Rainford for getting the correct answer which was Derek Bevan, who won 44 international caps in an illustrious refereeing career. Nigel Owens earned his 45th cap earlier this summer. Have a great day at the World Club 7s Jules! Concussion – what’s our role as referees? Occasionally I am approached by people to collaborate on articles or sponsored link. Usually rubbish commercial stuff so I don’t, but the following was suggested by a company working for a firm of personal injury lawyers*. Some interesting thoughts for us officials and certainly an area I think will be more important focus at grass roots level in the future, particularly when we see the outcome of this inquest in Ireland following the tragic death of 14year old Benjamin Robinson [see update below]. Thought provoking stuff. 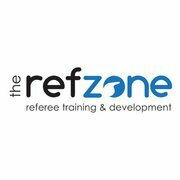 Earlier this year, RefBlog highlighted rule changes proposed by the IRB in relation to Television Match Officials (TMOs) and the increased responsibility they have in terms of assisting with on-pitch officials during a game. At the same time, however, a change that was not mentioned was that the IRB also introduced a trial run of the “Concussion Bin” for all Aviva Premiership games for the current season. This may have already been noticed by spectators at games this season, where a player is allowed to leave the field if a member of the medical staff or the referee feels it is necessary following a hit. The player in question will then remain off the field until they have completed cognitive tests to determine whether they are fit to return to the game. A temporary substitution will take place for the time the tests are being conducted and it will be made permanent if the player fails the cognition tests. Impact on the sport, players and officials? Firstly, it enhances the importance placed on player well-being and ensures that appropriate measures are taken to prevent the “second impact syndrome”. The second impact syndrome occurs when there is a second hit on an already concussed brain; this second hit is more likely to cause severe, permanent damage and even death. Rugby players are regarded as warriors on the field; there is unquestionably a physical element to the sport that does not exist in many other sports. Impacts of some tackles have been likened to being hit with a force, similar to a car crash. When coupled with a strong, competitive ruck, powerful mauls and crashing scrums, players can experience several brutal impacts during a game and anyone of them can be detrimental to the player’s health. A recent study conducted at Boston University** has found that repeated blows to the head are linked to depression, stress, anxiety, sleep disorders and even suicide. The study has been conducted using the donated brains of former NFL and high-school American football players who have experienced repeated hits to the head throughout their career. Many of the brains donated were by former NFL players who committed suicide following a period of depression or chronic headaches. There is a stigma associated with sports people where is it seen as wrong to walk off a field, particularly in a physical sport like Rugby. Whilst it is certainly entertaining to the spectator to see tackles of epic physical proportions, who is concerned about the possible long term effect of these impacts. It is for this reason the rule change should be embraced within the sport. It allows players the opportunity to leave the field of play to get themselves assessed by a medical professional to ensure they are not displaying any symptoms of a concussion. The new rules will place some responsibility on the players to admit to feeling the symptoms of concussion following a tackle. This can only work if it is combined with education to club staff and players about the damage that can be done if head injuries are not properly treated or monitored. While this relates to players and clubs, the officials also have an important role to play. Aside from fellow players, officials are closest to the action and therefore an important pair of eyes to have on the players during the game. The symptoms of concussion and head trauma should be taught to all players, coaches and officials to ensure symptoms are picked up quickly and rapidly assessed. But then comes the question. If a concussion isn’t picked up immediately and long term implications occur, who is to blame for not spotting it and reacting at the time of the impact? The result of the trial may be hard to quantify in such a short period of time but you can be sure that is it not doing any harm to the brains of the players on the field. The results will only be evident over time if there is a reduction in reported depression, stress, anxiety and sleep disorders of retired rugby players. What is your opinion on the introduction of the concussion bin? This guest blog was written on behalf of Pannone. Pannone specialise in personal injury resulting from head trauma. For reasons linked to a game I refereed in November, I’ve been keeping an eye on proceedings in Bristol this evening where the RFU are holding a series of Disciplinary hearings. Three days later, the player pleaded guilty to the charge. Disciplinary outcome: 5 week ban and order to pay £500 towards hearing costs. Disciplinary outcome: 3 week ban. So hardly a ringing condemnation of the decisions made by the officials in the cold light of day. Sure the letters of apology are in the post…..
Well I, for one, am really excited by the Olympics. I remember the day it was announced (and sadly the awful events of the following day) – I worked near Hyde Park and you could hear the roar from Trafalgar Square from there. Awesome. And the Olympic Park looks terrific! I visited the park back in February and even then it looked great. Now everything is sparkling. It’s ready. It’s on time. There’s no major disasters (private security aside) and the scene is set for an awesome month of sport. Sadly I didnt get tickets but am going to try and get across during the Paralympics to get a sense of the occasion – lets get behind those games as well. So, relax, and enjoy. It’s going to be a fun ride! PS Also loving the fact that the BBC have 20+ channels on the Sky Network to show as much as possible. I can feel an ear infection coming on….